Starting at 8:58 pm, which was sunset, Central Standard Time, Northern Spark launched in Lowertown Saint Paul on Saturday night. An all-night art event ensued, with public projects that included live installations, dance, performance, film, music, screen printing and the art of being in art. Things like families walking around with giant lit fireflies attached to their children’s stroller wasn’t out of the norm (photo 1). 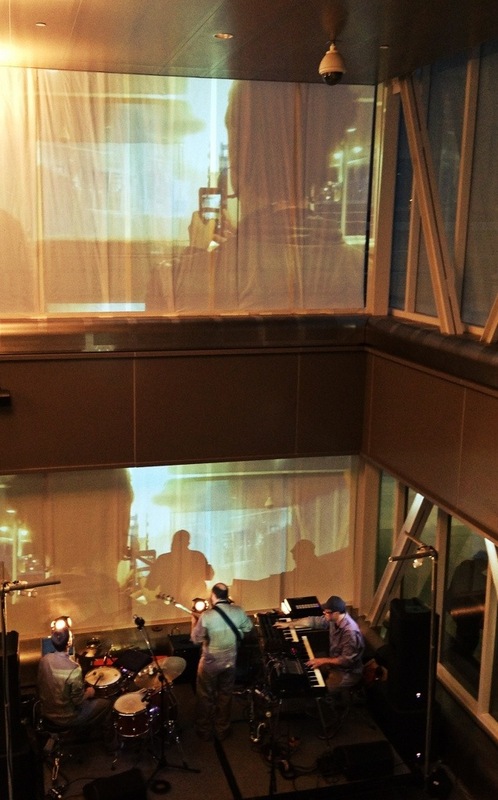 A camera crew filmed me taking a picture of a live band (photo 2). 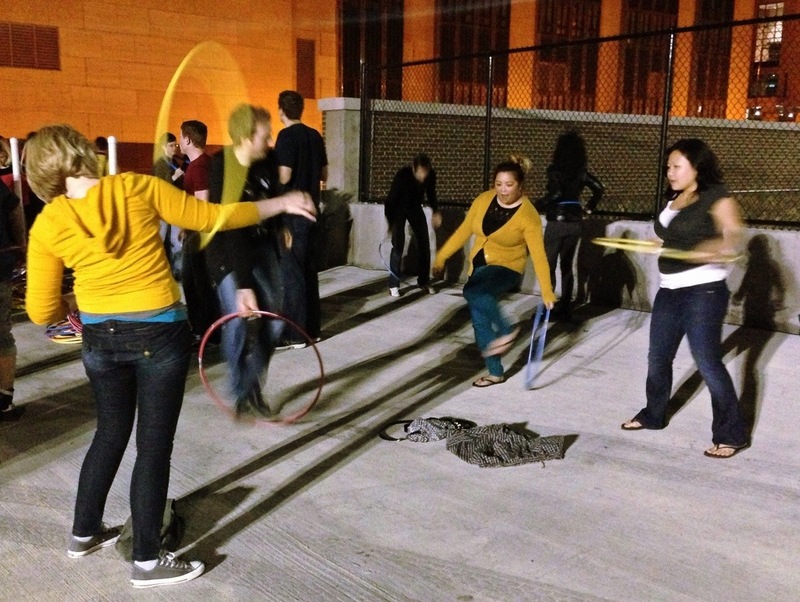 And, of course, what community art event isn’t complete unless you have group hula hooping (photo 3)? Just another day in Lowertown. 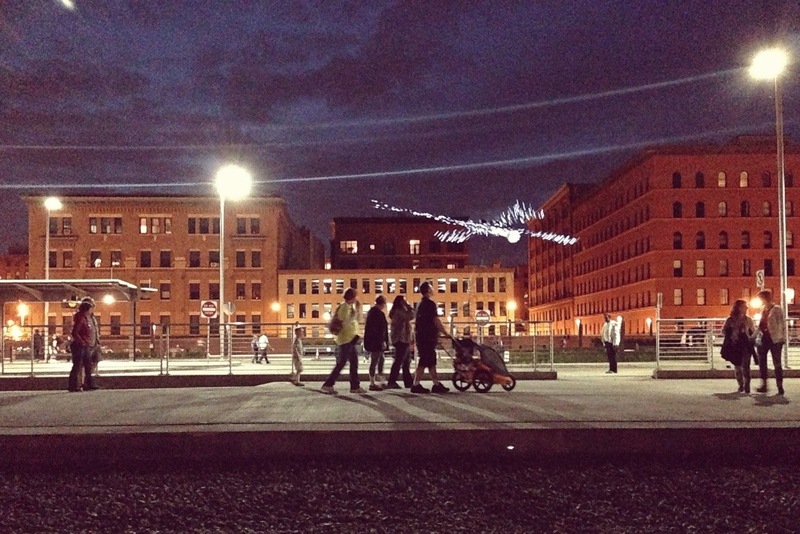 This entry was posted in Photography and tagged #nspk, Lowertown, Northern Spark, Saint Paul. Bookmark the permalink.